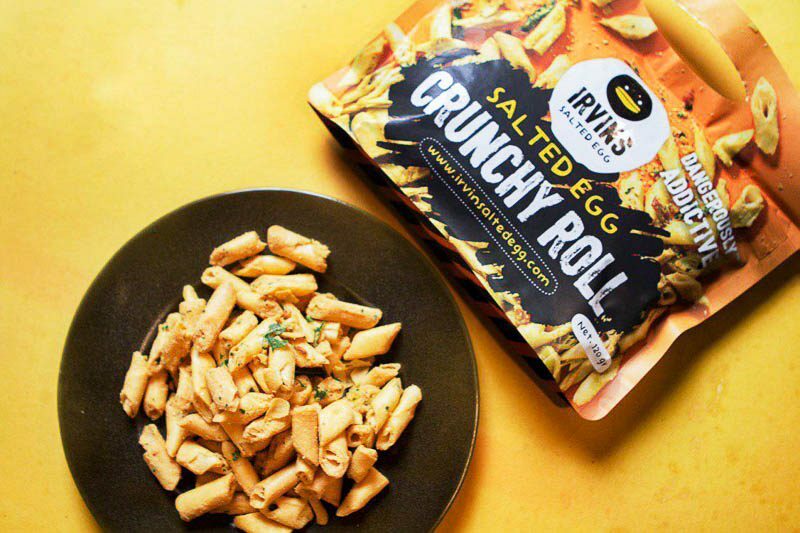 IRVINS has quickly become a popular iconic brand in Singapore due to its amazing salted egg snacks. They are a must-buy for tourists when they are here, evident from their snaking queues. Not only are they well-loved by travellers but also locals alike. 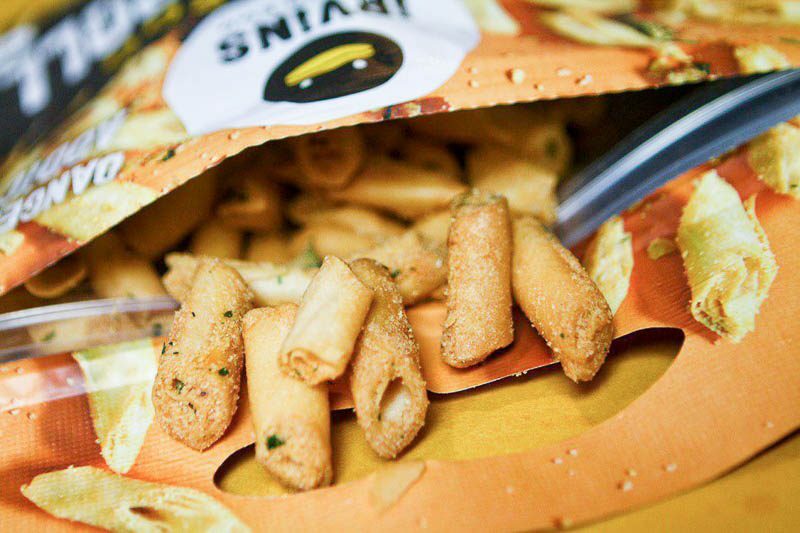 They are now a common snack present at gatherings, or even just as a go-to snack. 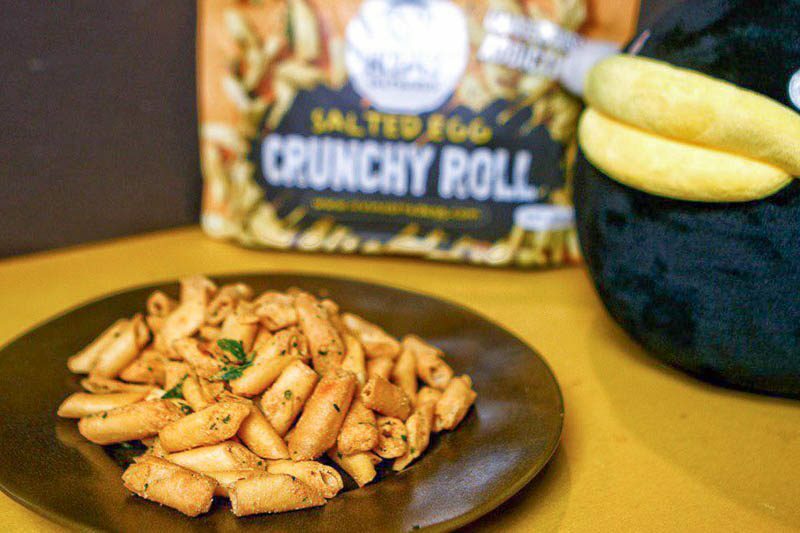 Fans of their CNY-exclusive items will be elated to know that the Salted Egg Crunchy Roll (S$10 per pouch) is making a comeback to be a permanent item in their product line-up! Of course, I had to try them out this time after missing them out during the festive season. The crunchy rolls are made out of deep-fried popiah skin, then coated with their signature salted egg mixture and spiced with curry leaves. When I opened the bag, immediately I caught a whiff of that familiar pungent yet fragrant salted egg scent and I was hooked. As I bit into them, I was reminded of the Collon Japanese snack. But instead of being cream-filled, they are layered over and over again with the same biscuit-like exterior. Being called popiah skin, I expected it to be light and thin. However, it was pretty dense and I appreciated that it wasn’t oily at all. Nonetheless, it is what it is: a crunchy roll. It was still delightful, fresh and crisp as I bit into it. 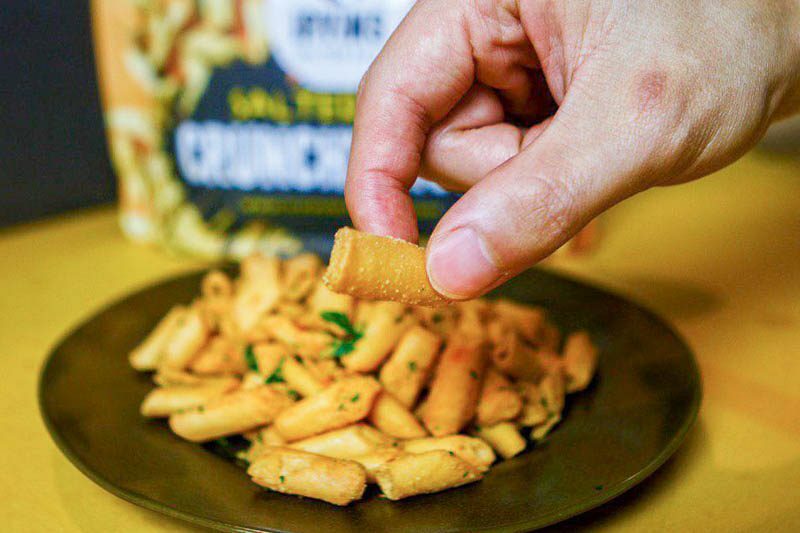 Generously coated in their indulgent salted egg crumbs, it was indeed dangerously addictive. It was so hard to resist and I ended up having the entire bag easily. Oops. Whilst it wasn’t mind-blowingly different from their usual offerings such as the Salted Egg Fish Skins and Salted Egg Potato Chips, it was still undeniably delectable. 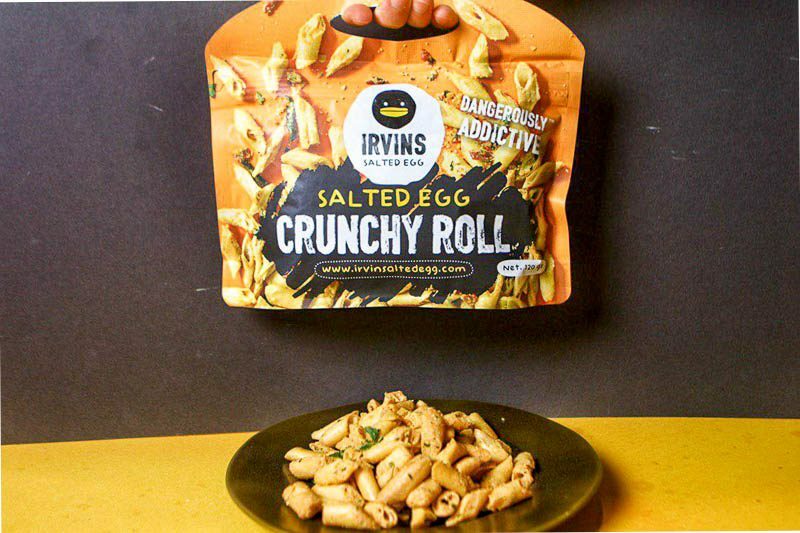 If you are a salted egg fan or just looking for another form of salted egg food item, your wish has been granted!